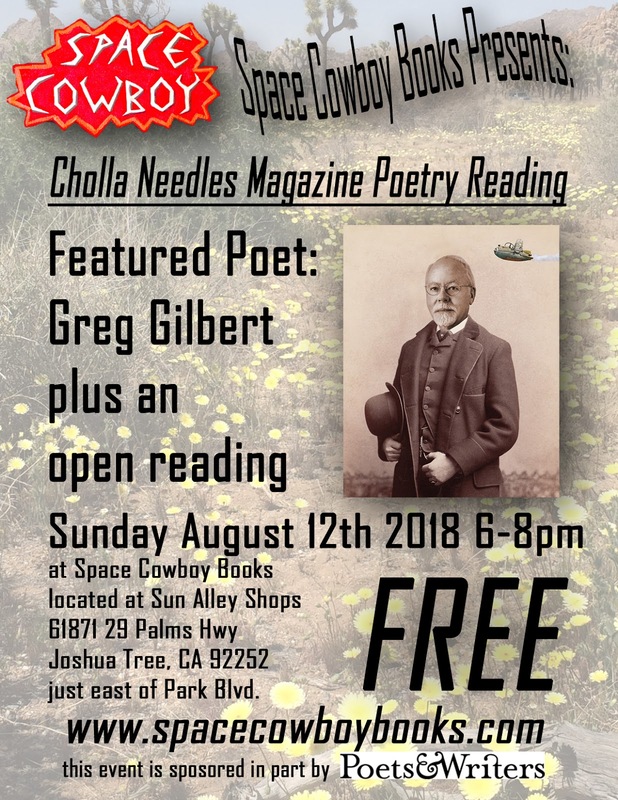 Cholla Needles Arts & Literary Library: August 12 Poetry Reading & Magazine Release - Featuring Greg Gilbert! August 12 Poetry Reading & Magazine Release - Featuring Greg Gilbert! Our monthly magazine release party! August's Featured Reader is Greg Gilbert, author and High Desert Renaissance King. Greg Gilbert is the brain behind the creation of Howl, the first High Desert Literary Magazine, which continues to publish yearly; and the Copper Penny Journal, a home for scholarly work. Besides having a wonderful family to keep him busy, Greg gets a perverse joy out of beating the crap out of other poets playing scrabble. He will thrill us on August 12th with his carefully placed words aiming to provide triple word score to everyone listening closely while enjoying the summer warmth. All participants in issue 20 will receive their contributor's copy at the reading. See you there! Tobi Alfier - Tag You’re It!